Hello Everyone. This month for Viva la Verve, Julee created 4 great sketches that could be used with this 'one sheet wonder' pattern or you have the option to do all the sketches separately. I thought about it and since I have all these great stencils, mists, embossing pastes, and washi tape, etc. I decided to put them to use and create my own patterned papers to fit the sketches. I started with a card base made from Real Red cardstock by Stampin' UP!®. I cut a slightly smaller white panel and spritzed it with heidi swapp™Color Shine in Tinsel. I adhered two strips of washi tape in the upper left and lower right portions of the spritzed panel. Before adhering the panel to the card base I wrapped it in red cording and tied a bow. Using a horizontal strip of white card stock and the heidi swapp chevron spray stencil, I created the red chevron pattern with embossing paste and Real Red ink. 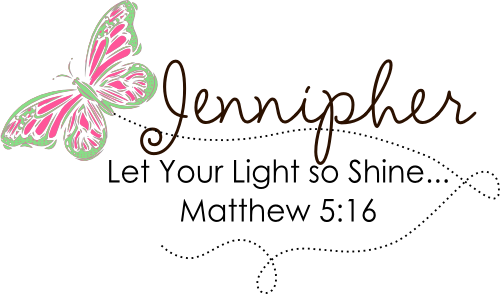 I created a label for my sentiment by using Sentiment Tag 3 from Cheery Lynn Designs. My sentiment is from the Verve Stamp Set Peace on Earth. For finishing touches, I added the poinsettia to the corner of the label. Creating this card with all those cool tools was such fun! I really need to take more time to use the things I spend the money on. Gorgeous! I really love the red cord you have used! This is awesome! How beautiful! Just love all the spritzing and that fabulous red cord wrapping. This is such a fun and festive card! Happy new year to you and yours! Beautiful card Jennipher. Happy new year to you and yours! I love your designs and I look forward to seeing what you create this year! Hugs. A beautiful card, I love all the cording you have wrapped your card in.